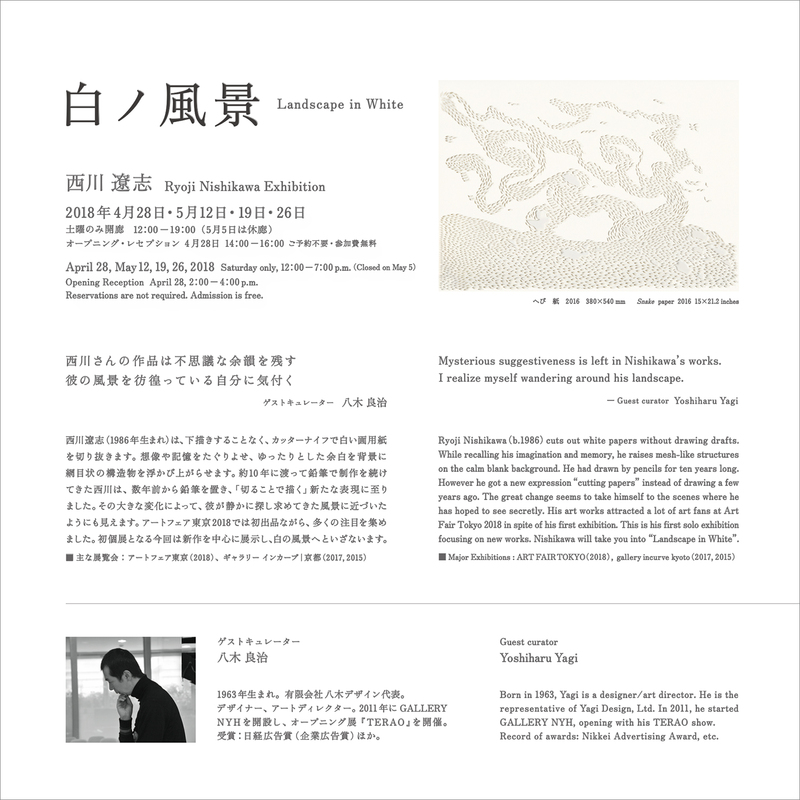 Ryoji Nishikawa cuts out white papers without drawing drafts. While recalling his imagination and memory, he raises mesh-like structures on the calm blank background. He had drawn by pencils for ten years long. However he got a new expression as “cutting papers” instead of drawing a few years ago. The great change seems to take himself to the scenes where he has hoped to see secretly. His art works attracted a lot of art fans at Art Fair Tokyo 2018 in spite of his first exhibition. 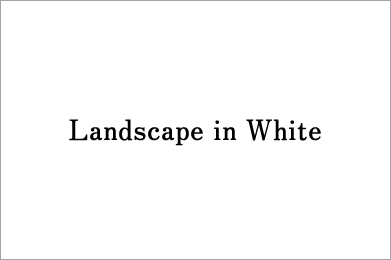 This is his first solo exhibition focusing on new works. 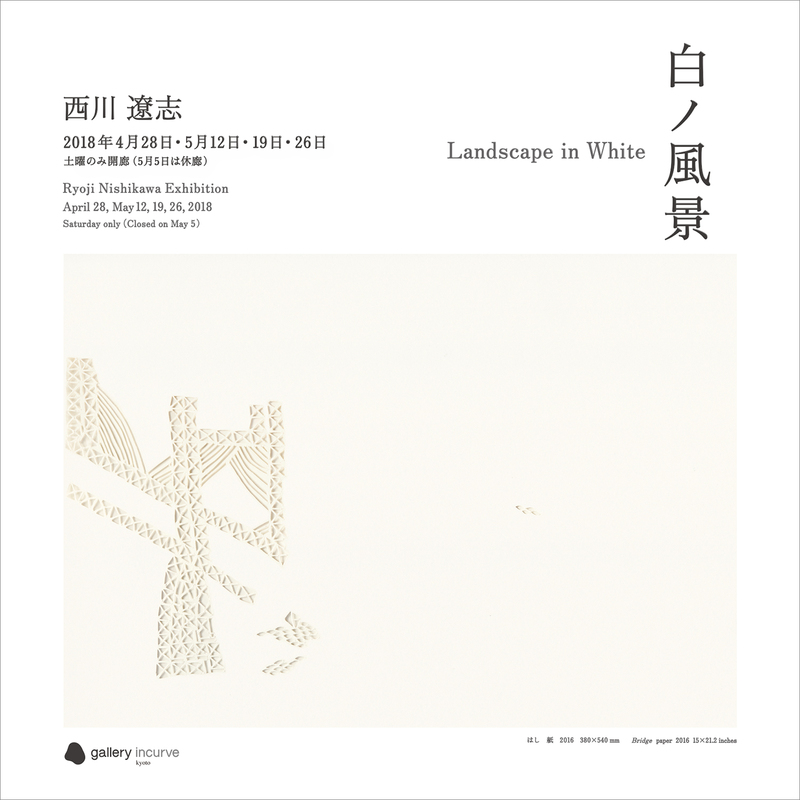 Nishikawa will take you into “Landscape in White”.